I'm the kind of person who is a people pleaser. I often don't tell people what I think so I don't hurt their feelings. I'm emotional and get upset very easily. Okay only when I'm on hormonal overdrive. I'm not that person anymore, I'm emotional but also pretty level headed. It's nice getting back to where I was before the two youngest boys were born. 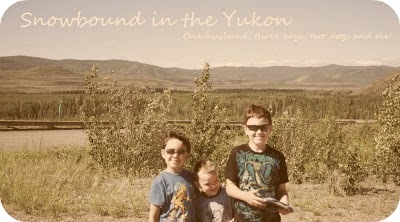 They can now see the real me, the not so nutty mom who is paying attention and lovin' on her boys. I'm nice, I admit it. I like to be nice to people. I like making them smile and the added bonus would be they like me. Kinda like Monica from Friends minus the cleaning thing, oh and making candy thing, I lost that over the last few years. I don't miss it. I like having people over usually and I like having people around and in my life. I like talking and laughing and yet I get where I want to be alone at times. I think that is normal for an introvert. I now look forward to my weekly night out for a chat and a drink with a friend or two or getting out to sew again. I have friends who are social all the time and that's just not me. I admit it and accept it. I say I'm an introvert but maybe I'm just hiding. You know how all the experts say, what is the benefits of being fat. I know now it's so I can hide, it's my excuse. I can be sick and depressed and tired and anti social by being this way. I can hide and not have to put myself out there. I have a lot of excuses and I'm working on it. The first step is recognizing it right? The affair, my Dad dying, lost friendships....they are all great excuses for me to hide, to pity myself and get away with being depressed. Is it all in my head. Maybe? I don't really know. I know I certainly had hormonal imbalances and that causes depression. I was depressed on and off for close to 7 years, that has to affect a person. I never would admit it to myself either. But now I do because I want to be healthy and happy. I'm learning and growing and that is a great thing to me. I've always been able to pull myself out of a rut by doing just those things. Learning and growing and changing. I recently took this quiz over at Mind Valley and it was a quiz of abundance. It basically told me that I was scare of everything, change, success, failure...etc... Which I think is true and it's got my brain thinking and then my Hubs took the test and he is so the opposite of me and he got all the same things. So I think it was just a promotional ploy. I know I have areas to work on but I'm working on them and I can't let some quiz or anyone tell me what I'm afraid of. I already know and I"m working on it. When I met my husband 16 years ago, I was twenty-one young and naive and I had no idea really what life was about and what I wanted from it. I barely know what I want to be when I grow up now.I always followed what others told me. Get a good job my Dad said, get a government job. So I did. It's a good job and I have a great supervisor, I've been lucky. But this is not the job I aspire to do, I'm not passionate about it and I don't plan on being here until I retire. I've decided that much. Right now we need the job to pay the bills and save some money until I figure out what I really want to do. I accepted the fact that I've changed in many ways, I no longer believe in soul mates, 'the one", destiny, fate, heaven, God, life after death. I think we are a crazy cosmic miracle and we should be thankful everyday for being alive and we should not be destroying our earth trying to get richer and more abundant. We should be making ourselves happy, going good for others, everyone in the world should be given the same chances in life for food and warmth and happiness. I think that when we die we are just gone except for in the memories of our children and loved ones and that should count for something. So I want my children to know love and happiness and know that they can come to me for anything. I want to be a good friend to my friends and do what I can to help them and make them happy. For them to know they are good and they make my life special by being in it. I'm learning and growing and finding myself. I love to quilt. I love to read. I love to write. It was only in the last few years that I realized I love fabric and making quilts but I like it as a hobby. I like gifting them to my friends and family. To give them something special because I made it. I've rediscovered my love of reading. I've been reading but I wasn't into it really. I was reading young adult books, they are easy and reminded me of my youth. I did read everyday, I wasn't absorbed in my books as I once was. So recently I had the call from one of my favorite book series and I started rereading it. I forgot how great it was and I've been devouring it every night after the boys are in bed. Coming out of depression is like the best feeling in the world. I'm rediscovering my husband and my love for him and the strength he gives our family. We've been dreaming again. We talk about another baby, I don't know if anything will come of that since I did have my tubes tied but there are other ways. We dream. We are talking about going somewhere warm and finding a place for us. Costa Rica right now is the plan. So in three years we may be traveling there for a 3 months stint to see if we like it. Right now the idea doesn't scare the crap out of me like it usually does. We'll travel, home school the boys, bring our Jessie and our baby if we have one and live. It sounds like the most exciting thing in the world right now and I can't wait. Writing and music are two other things that seemed to go away when I was not myself and I'm rediscovering those things. But geesh, the way I describe myself it seems like I was a shell of myself and really I wasn't, I was functioning but not quite fully in the present, if that makes sense. I didn't enjoy things and yes I had times when I was happy and present and I put on my best front for the boys so I was Mom but I just wasn't fully Mom. There are too many inspirational quotes I found that pertain to this post so it's going in a separate post.